Mattel Unveils New Monster-Themed Franchise | Mattel Inc.
El Segundo, Calif. (June 4, 2010) - For the first time in company history, Mattel will roll out a new intellectual property, Monster High™, across a number of diverse consumer products categories simultaneously at launch. This new franchise targeting tween and teen girls brings together the hip teenage descendants of the world's most famous monsters to brave the trials and tribulations of high school. The property delivers rich content and relatable storytelling via publishing, web, animation and live-action theatrical entertainment and launches consumer products in notable categories including apparel and accessories, and toys.Mattel has partnered with best-in-class category experts including Little, Brown Books for Young Readers, best-selling author Lisi Harrison, Universal Pictures, Justice® and Party City to bring this property to life. "We know tween and teen girls need to immerse themselves in stories and worlds as they engage in new properties and trends," said Tim Kilpin, General Manager of Mattel Brands. "With Monster High, we are confident that through the development of relatable characters and clever storytelling, this property will resonate with girls of all ages." Grounded in a fun and humorous storyline, the frighteningly fashionable students at Monster High capture all the awkward moments that teens experience in their high school years, the powerful bonds of friendship and the challenges of fitting in - all delivered through a "monster" chic aesthetic and tone. Monster High reaches girls via a line up of all-star products and partnerships enabling teens and tweens to discover the brand in their own way and engage with the Monster High characters and storyline through multiple points of entry. 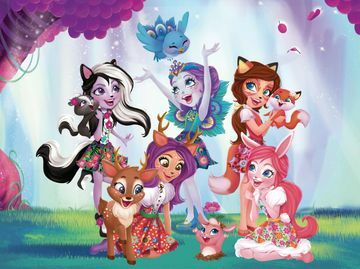 "Understanding the need for multiple touch points to successfully engagetoday's complex tween, the rich characters and storyline of Monster High made the brand the ideal property with which to launch our new franchise model - a sustainable business strategy that we believe is the future of brand management," said Kilpin. Publishing: Fitting in is out and freaky is about to get fabulous! Little, Brown Books for Young Readers and Mattel have entered into a multi-year, multi-book global partnership to publish a series of books written by #1 New York Times best-selling young adult author Lisi Harrison (The Clique, Alphas). Monster High, the first book in the series, goes on sale September 1, 2010. Live-Action Feature Film with Universal Pictures: Bringing the Monster High characters to the big screen, Universal Pictures has acquired the film rights to create a live-action theatrical musical. Award-winning producers Craig Zadan and Neil Meron (Hairspray, Chicago) will team with writing pair Alfred Gough and Miles Millar ("Smallville," The Mummy: Tomb of the Dragon Emperor) on the film. Monster High Website: The Monster HighTM website offers an interactive platform to further explore the world of Frankie Stein™ and all of her freakishly fashionable friends. The site features scary cool games and activities rolling out throughout 2010, as well as introduces the characters of Monster High through original animated webisodes and witty bios highlighting their personality traits, "freaky flaws" and monster heritage. Animated Webisodes: Mattel has developed a series of short animated webisodes which highlight the trials and tribulations of a group of monster chic teens that come face-to-face with the awkward, yet relatable, moments of high school. New webisodes rollout on monsterhigh.com each Friday through the end of July 2010. Please visit www.monsterhigh.com for more information. MATTEL, MONSTER HIGH and associated trademarks and trade dress are owned by Mattel, Inc. © 2010 Mattel, Inc.All Rights Reserved.